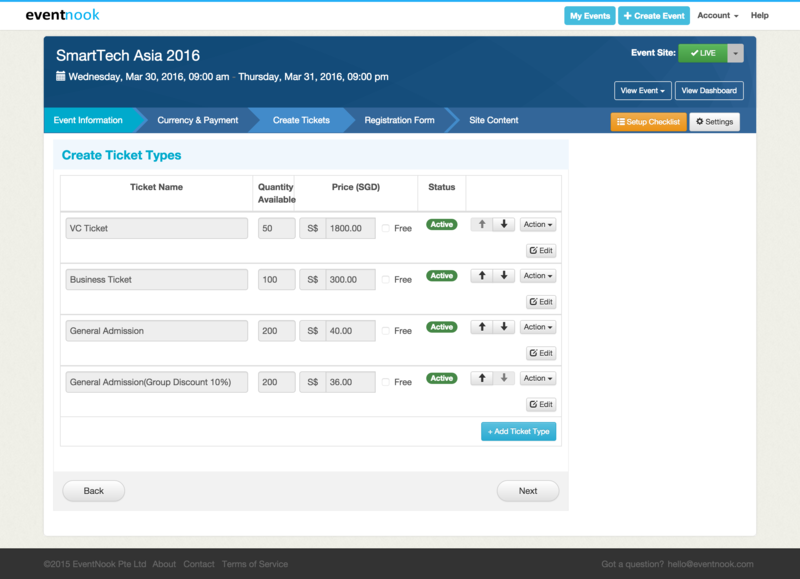 You can create different ticket categories that would suit your event's needs here. Examples would be early bird tickets for a convention or different categories of seating for a concert. Create your tickets under this section and specify the quantity that would be available for sale. The image below is an example. If your event is free, check the box with “Free” beside it. Advanced Tip: If you require more than just the basic set up, you can click on “more options” and it will provide you with additional features to customizing the ticket type. This includes setting a start and end date for certain tickets or setting a minimum and maximum quantity of tickets for each order. When you are done including the details, click on “Next”.